Learning can only take place in an environment that actively supports it, and at APL, we have tried to design our campus to make it an open, innovative, safe, and exciting place to learn. 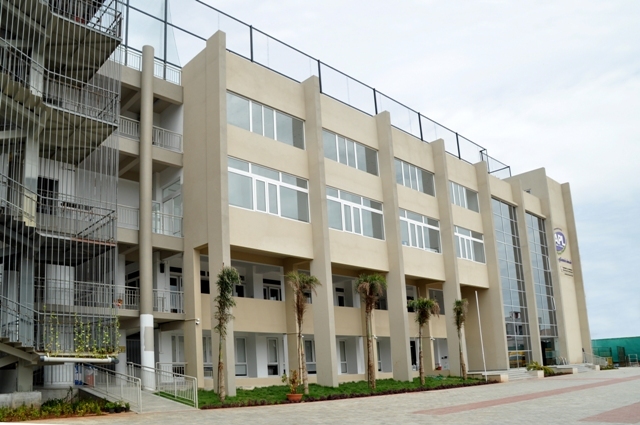 Our campus is spread over with 1,92,680 sq feet of built up area. We have air conditioned classrooms, student friendly furniture, libraries, labs, a spacious art studio, canteen, and a strong IT network. An auditorium of 7,577 sq feet with a seating capacity of 400 people gives us a flexibility to conduct all school events, assemblies and activities. Today, children grow up in and have to navigate a digital world, and have developed the skills to learn digitally. We offer technology designed to help our students learn on our campus, be it research for an independent project or using multi-media software to create an interactive project, while also being careful to use our resources carefully. Our teachers work with technology to create learning experiences for students that are not available through more traditional teaching styles.